*This Volume 1 Set contains the Volume 1 Manual and Volume 1 Software (Now sent via download). Discover the most exciting and effective way for kids to learn the language of music! The award-winning Children's Music Journey 3-Volume Series features 18 of the greatest composers/performers of all time who expertly teach children about their lives, works and how to read music, play piano with both hands, compose and improvise. Beautifully animated, Children's Music Journey incorporates a "teach, practice, apply" methodology and ensures kids have fun learning by taking part in engaging lessons, activities and games. 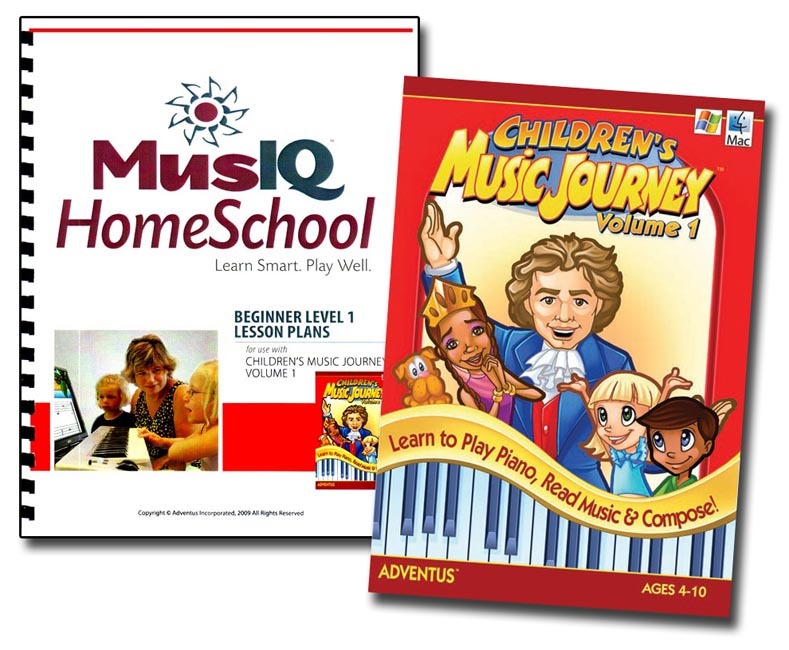 In the home or classroom, children as young as four can learn piano, guaranteed! Ages 4 - 10. MIDI keyboard required for use with computer. Software requires Windows XP, Vista, 7, or Mac OSX operating system.